Cool winter temperatures and low humidity levels, combined with hot showers and soap-based products can pull moisture from the skin. On the surface, skin looks dull, feels tight, dry and itchy. At a microscopic level a lack of moisture and oil weakens your skin’s natural protective barrier, leaving it susceptible to invading chemicals causing redness, irritation and sensitivity. Layering on extra hydration during colder seasons will restore lost moisture and relieve dry, thirsty skin. Start with Multi-Active Toner, a refreshing toner that rehydrates with Aloe Vera and Cucumber. Mist over skin after cleansing to reduce tightness and lock in moisture. Follow with Skin Hydrating Booster, a super-fluid that hydrates tissues and plumps parched skin. Apply 6 to 10 drops directly to skin, or mix with your favorite Dermalogica Moisturizer. For an added boost, apply Skin Hydrating Masque 2 to 3 times a week after cleansing to calm, infuse skin with protective antioxidant vitamins, and restore moisture for fewer fine lines. Remember, think layers when it comes to keeping skin healthy all winter long. Frolicking in the ocean? Taking a dip in the pool? Relaxing in the hot tub? Read Dermalogica’s post-dip guide to caring for your skin this summer. Recommended: Special Cleansing Gel, Daily Microfoliant, and Barrier Repair. 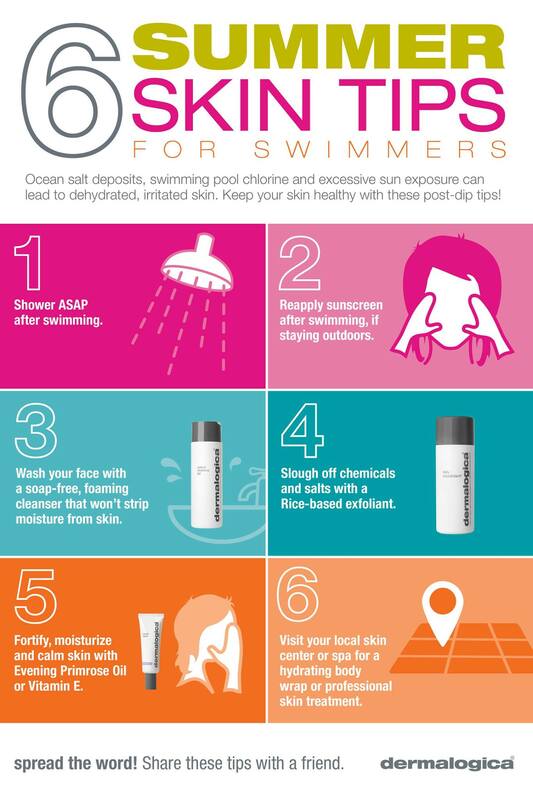 Learn more about these key products for swimmers by visiting a Dermalogica Skin Therapist at Pineapple Day Spa. Book a complimentary Dermalogica Speedmapping Consultation to find the best solutions for your skin. Pineapple Day Spa’s award winning team of professionals provide cutting edge spa and salon treatments in the Hudson Valley with a full service hair salon featuring hair & body care by AVEDA®, skincare by Dermalogica®, massage therapy, makeup featuring bareMinerals®, nail care featuring Shellac®, and more! We’ve been voted BEST DAY SPA by the Times Herald Record Readers Choice Awards and BEST DAY SPA by the Hudson Valley Magazine Best of Hudson Valley Awards. 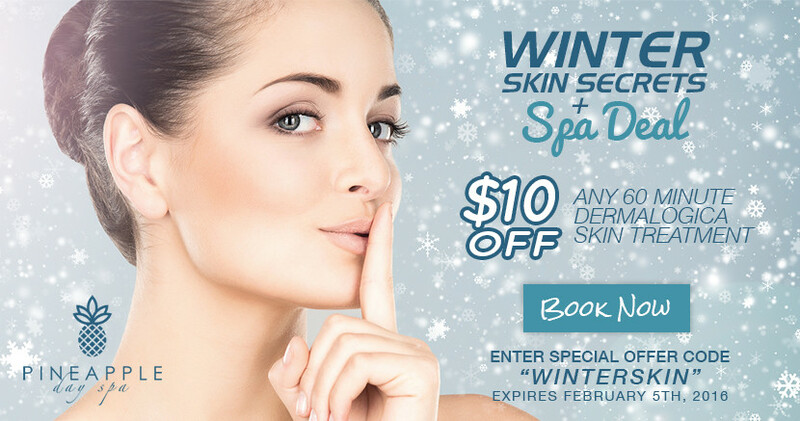 Call us at 845-744-3039, book online at www.pineappledayspa.com or visit us at 35 Boniface Drive, Pine Bush, NY.